As you click on each bell description, you can hear it by clicking: Click here to hear it. 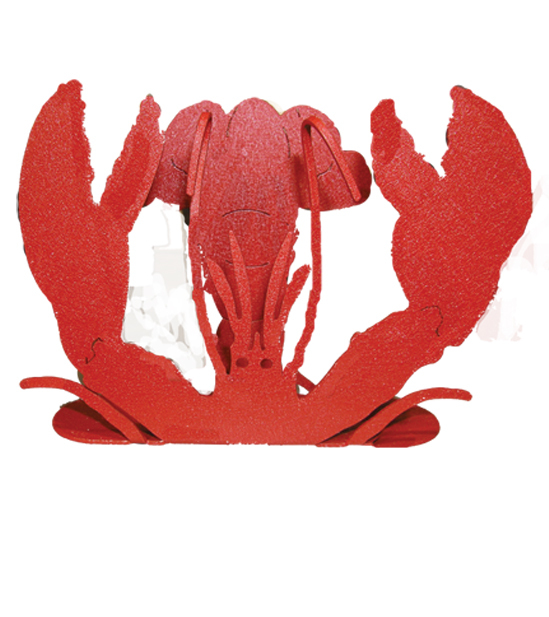 The Lobster Organizer is perfect for holding paper napkins as an idea or even mail! This measures nearly 4 1/2 inches in height and 5 1/2 inches in width. The depth within the 'fold' of the lobster is 1 1/8th inch deep. Felts are placed on the bottom to protect surfaces.